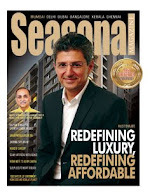 Seasonal Magazine: Can Mahindra Lifespace Keep Up the Momentum? Can Mahindra Lifespace Keep Up the Momentum? Mahindra Lifespace Developers Ltd's (MLDL) (BSE: 532313, NSE: MAHLIFE) first quarter results, year-on-year, has improved though on a small base, but sequentially it has not only been the second consecutive dip, but the dip has become quite marked now with sales dipping by 30% and net profit dipping by 40%. The debate whether Indian realty will be dominated by realty-only companies like DLF or Unitech, or by diversified conglomerates like Tatas, Mahindras, or the Godrejs would continue. The first round definitely belonged to the pure play realtors, thanks to their larger-than-life IPOs during the last real estate boom, that even while hurting retail investors, ended up elevating their promoters to world’s billionaire lists. At the same time, the realty forays of large industrial houses like the Tatas and the Godrejs haven’t been up to the mark. But all these while, this relatively small realty firm from the top-ten business house of the Mahindras had been gaining significant ground. Until now, Mahindra Lifespace has been relying largely on mix-use development, but it is increasingly becoming a challenging model. For example, almost all of the profits for the June quarter has come from residential segment with commercial / office space continuing to be lackluster. This may be one reason why MLDL is now also acting like a normal developer of standalone condominiums. To start with, Mahindra Lifespace Developers was not a very inspiring player in the industry. But it got its opportunity in 2000-01 when noted real estate player Gesco Corporation, belonging to GE Shipping Group, turned to its help to ward off a hostile takeover bid by the Dalmias. Thus was born Mahindra Gesco, the forerunner of today’s Mahindra Lifespace Developers Ltd (MLDL). 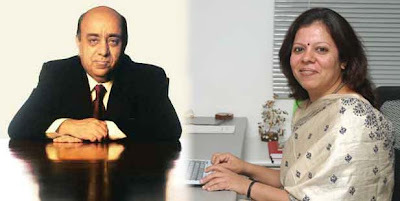 Great Eastern’s Sheths eventually sold off their entire stake to M&M who proved their commitment to the business by assigning none other than Anand Mahindra as Chairman and M&M Executive Director Arun Nanda as Vice Chairman. In the metro cities that Mahindra Lifespace operates, up to 5 lakh sq ft of residential and commercial space is going to be available in the next six months, worsening the already existing oversupply situation. MLDL may be affected by this development over the next two quarters. Ever since 2003, the firm has not dipped in sales or profits, except for a brief dip in net during the last recession, but even then putting up an impressive sales growth. FY 2010 has been especially good with sales nearly doubling over the previous year and gross profit more than doubling. Confident that MLDL is now a credible growth story, Anand Mahindra has entrusted Chairmanship to Nanda and executive leadership to MD & CEO Anita Arjundas. But for Mahindra Lifespace it is still a long way to go before they can mount a threat to leading players like DLF or Unitech. Apart from standalone projects, MLDL’s portfolio of Mahindra World Cities (MWC) – two of which are already operational in Chennai & Jaipur – is a definite edge over competition, as this is a model that can be replicated in many Indian states. No wonder MLDL is now recognized as one of the fastest growing real estate developers. Coupled with a penchant for more transparent systems – for which it won a CRISIL award – and Arun Nanda’s contrarian vision of thinking also from the customers’ shoes is sure to take this Mahindra group company to a better positioning. Market is already recognizing this potential and has effected a year-to-date price-performance of over 62%, a time frame in which industry peers DLF slipped by 10% & Unitech rose by only 3%. However, despite having a big corporate brand as promoter and despite having impressive and large-scale projects, Mahindra Lifespace hasn’t been able to break into the Top-10 league of developers, by way of sales or market cap. This may be due to a very conservative strategy that includes a low capital base of Rs. 50 crore and practically zero leverage. It is not clear when nvestors can expect a jumpstart from such a too-safe strategy.